Is ISO Registration Mandatory for Me? To beat the rising heat of competition, certain standards are used by business individuals to assure quality, safety and efficiency of their products & services to customers .To create a better comparison goal for a buyer, it is necessary that businesses compete in terms of price and quality. To sustain long in the market, one has to go with all such legal policies which in the near future is going to provide better returns to business. ISO certification is one such effective policy which mostly entities use today for reflecting their business credibility and overall efficiency of their business to potential investors and customers. ISO (International Standards Organization) is a recognized independent international organization which facilitates standardized trade of goods and services across globe. ISO registration provides a business an advantage to get preference by a customer in terms of quality assurance and product variability. In India, ISO Certification can be obtained in ISO 9001, ISO 14001, OHSAS 18001, ISO 20000, ISO 27001, ISO 50001, ISO TS 16949 etc. Why Do We Need ISO Registration? Consistency Measure: ISO standards help in building a regular consistency in product manufacturing considering the registered standards and customer preferences. This helps entities to control over production and to adopt a single consistency route each time they make a new transaction. Building Trust: On a priority note, for maximizing sales business units have to build and maintain a trust value with their customers. ISO Registered marks as an additional support helps the entrepreneurs to get regular and repeated sale orders, as with such marks all they get is assurance in terms of standards which relieves the customer of the quality and durability of the product so provided. Additional Revenue: Thinking on the advertising point of view, ISO registered marks assures an advantage which could also be taken by attracting new customers by making an attractive display of product with testified marks of ISO, which further results in more sales to business adding more revenue figures. Predefined Standards: ISO marks provide all general values of standards which should be a minimum requirement to consider before production. With known standards entities will be able to plan and organize their production activities more efficiently and hence chances of getting an inefficient rated production reduces. Creditability and Recognition in Market: Value of a product in market depends on various factors. Some of them include the price, quality and its market value. At present, building a good market value is very important as number of competitors in any business line is rapidly increasing. Thus ISO registration creates recognition and visibility of the product in eyes of customer thereby building more future creditability for it. Imparting Training to Employees: ISO Certification requires a coming demand from business to produce and deliver standardized product . To match standard requirements entities strive to provide training and growth knowledge to its employees . It also empowers and make liable to employees to use all such tools which guide for only standard production. As a result, employees get inherited with more knowledge and skill which further improves their performance. 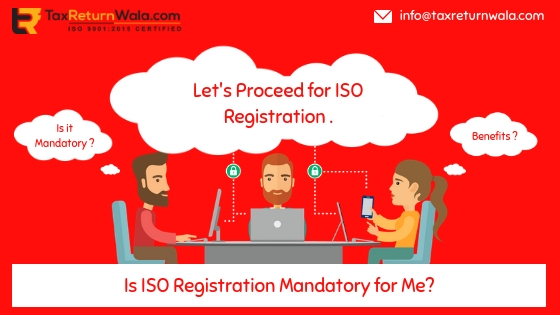 Above you got to know only some basic advantages of ISO Registration which it provides to entrepreneurs, while in reality it holds much more than this. Hence it is always preferred that you get your business registered under ISO regulations, in order to get your product to the first mover advantage among other market competitors.